We drove to Latvian Winner with Maija Varis from Kennel Rat trap's and Kata Lahikainen from Solar gift's, my trusted travel buddy and good friend. This time we had an easy trip, shorter to drive and less dogs along for the 1 day show. Chino exceeded himself on saturday. He showed nicely and stood confident to our Judge: Beate Petkevica, from Latvia. 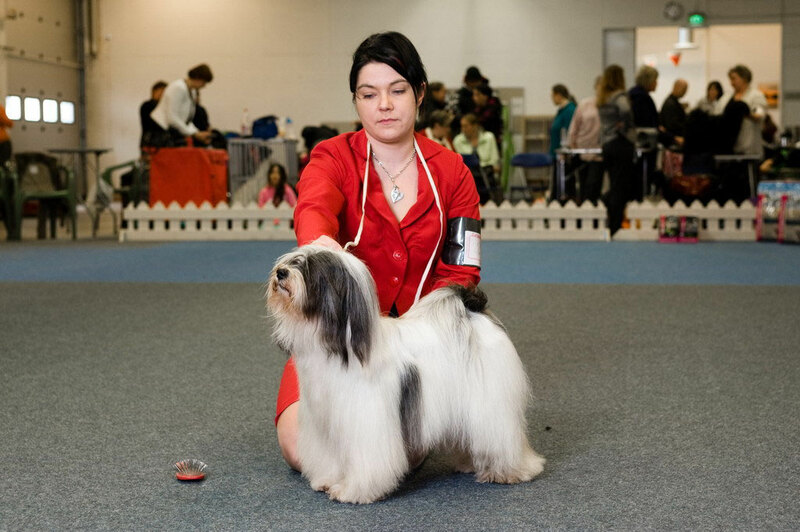 Have to say, she was a wonderful kind judge and such a dog lover that I would love to show in her ring again anyday with any dog. 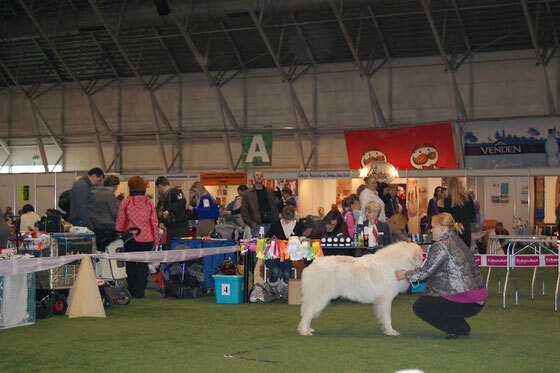 She was tough about what she wanted in a dog and the critique was thorough and long but we got Excellent with Promotion Prize (CQ) and got our Latvian JCAC and got Latvian Junior Winner-12 and Latvian Junior Championship, thus finalizing the Baltic Junior Championship!!!!! In best Male ring we placed 2nd after a Finnish Champion class male, but I was very proud of my boy! Our Bikini team did their best but it was the boys who ruled saturday with their placements. Pepita went to Open class and tried for CACIB at the age of 8½ years as our EE CH had not validated all the way home at the time of entry. We recieved Exc but no PP. But We had fun and had fun! That's the main thing! 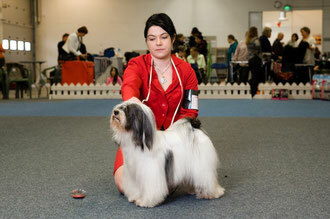 On sunday our Norwich male travel companion went to ring in youth class and placed 2nd after a Russian Champion male. But they showed well and recieved Res-CACIB, Thanks Maija and Kata again for a great trip!!! 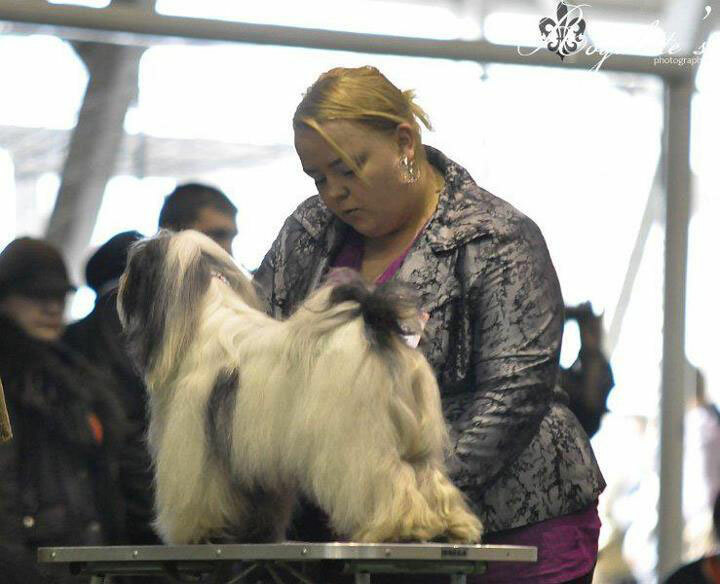 Pepita left straight after her ring in Latvian Winner on saturday with Jenna Timonen from Petpursuit to attend the Tibetan Terrier Speciality in Finland on sunday. There she did great! She placed 2nd in Child & dog ring with Sanni from team Pindaros, and was also shown in Junior Handler ring where she placed 1st with Jenna's girl. In her real ring she recieved Exc, CQ, BOS Veteran and she was almost picked into top 4 in BB ring! Thanks Petra and the whole Pindaros Team for showing her! and Thank you Jenna for taking such good care of my precious gem!! !